At Girls Rock Philly, we work with a small budget, a staff of two-full time folks, and hundreds of awesome volunteers. Your tax-deductible donation goes a long way at GRP; it directly supports our programs and helps ensure that no one is ever turned away for lack of funds. Your generous donations help make all this possible—we couldn’t do this without you. YOU ROCK! Don’t have anymore room for that bass in your closet or maybe even a PA system in your basement? Donate it to Girls Rock Philly! 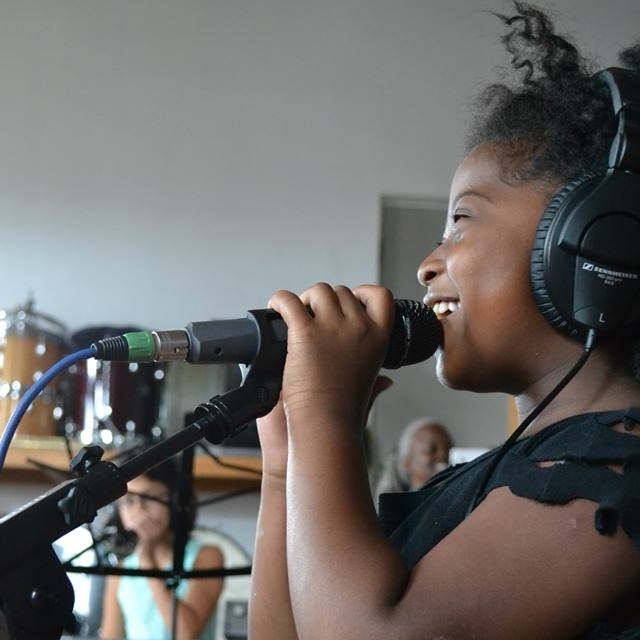 GRP provides musical instruments and other audio gear for our Summer Rock Campers. We also keep our year-round practice space fully stocked with gear so our after school program participants and campers can continue their instrument practice, band practice, and songwriting. DJ equipment, including mixers, turntables, cables, etc. click here to donate gear! We are also accepting computer and other electronic equipment for our Afters School Program curriculum! We’re interested in equipment that will allow us to hold workshops on DIY sound recording, video editing, podcasts, blogging, etc. Rocking out takes some serious energy! Girls Rock Philly’s Summer Rock Camp week covers meals and snacks for 50+ volunteers and up to 80 campers from Monday – Friday. Even covering one meal for one day of the week (say, lunch on Monday) will be happily (and hungrily) received. We are also looking for snack donations for our After School Programs which take place year round on Tuesdays, Wednesdays, and Thursdays.